This unusual ashtray is made of pottery material. 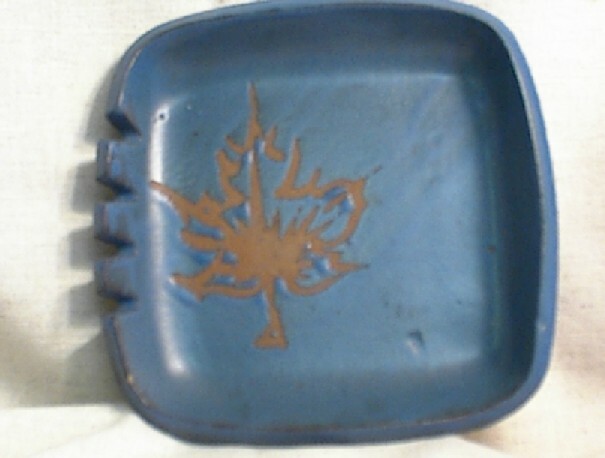 The top and sides are painted a dark steel blue while the bottom and the maple leaf are unpainted. The bottom of the ashtray has an inscription which says “Noel, Ceramic Arts, Calgary, Canada. 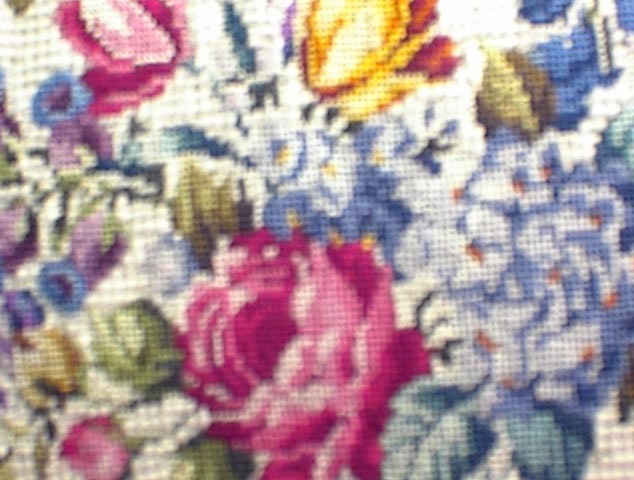 The front of this gorgeous handbag features a floral needlepoint in pinks, yellows, blues, purples, and greens on a creamy beige background. 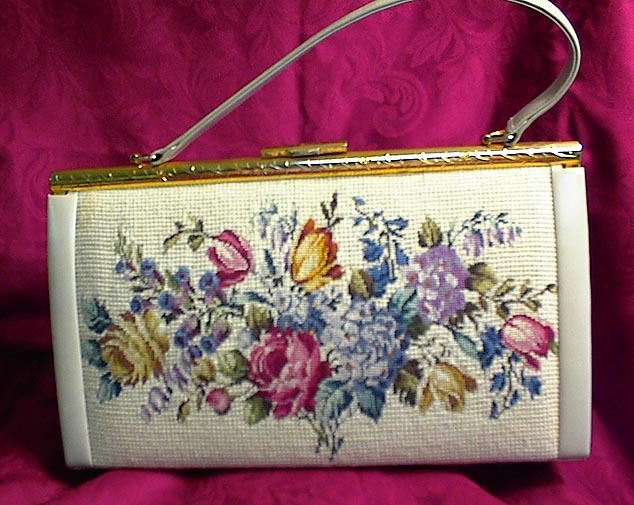 The body of the handbag is beige vinyl, as is the short handle. The interior is done in a light brown suede-like material. The clasp and top edge are done in gold-tone which shows a slight amount of use.